This Cozy Caramel Cider is our new favorite go-to. It is the perfect holiday drink, for any occasion. I also love pairing it with some popcorn, and having a cozy holiday movie night. 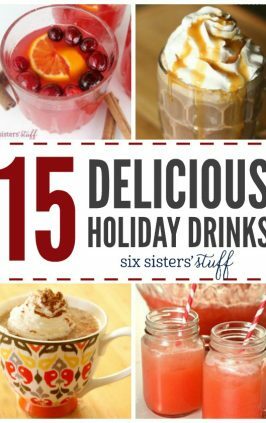 If you are looking for the BEST holiday drink, this is it. 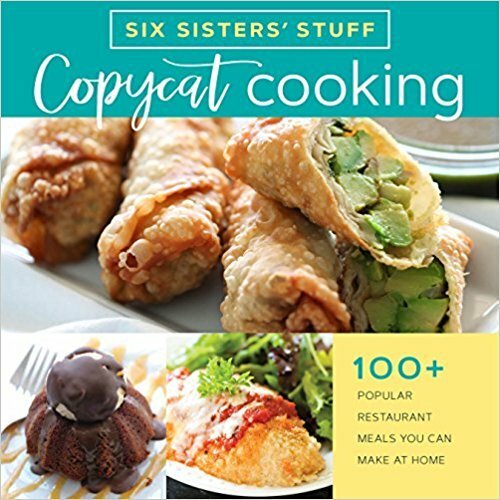 In honor of our holiday cookbook, 12 Days of Christmas with Six Sisters’ Stuff, we hosted a recipe contest to find YOUR favorite holiday recipes. After a lot of baking, cooking and sampling we have chosen 12 of our reader’s favorite recipes. Thanks to everyone who participated. 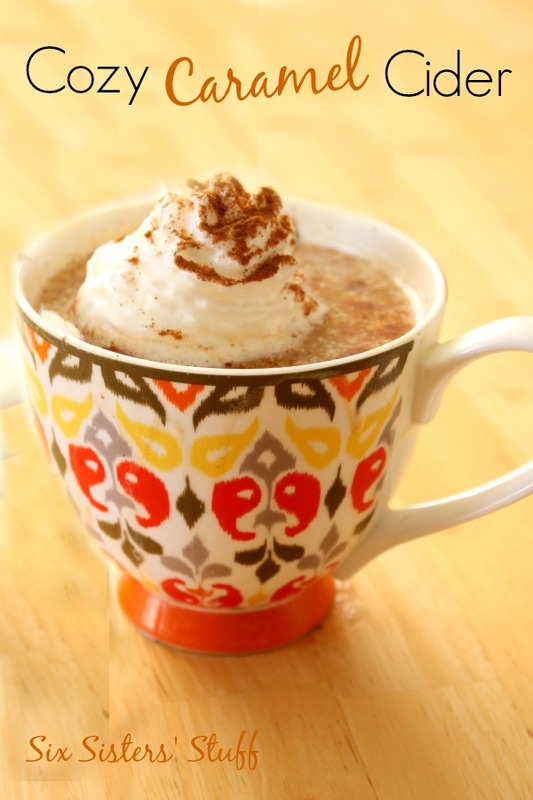 Today we are featuring Deanna Grasa’s famous Cozy Caramel Cider. Deanna loves drinking this around the warm campfire with her family and friends in Florida, and we found it perfect for a cold day here in Utah. 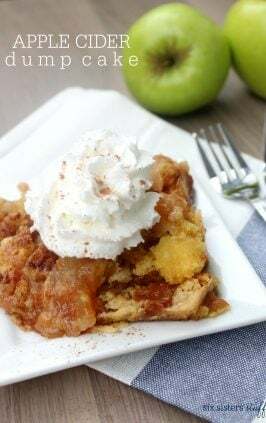 This delicious cider is a slow cooker recipe that you must try this holiday season. It is so easy to make, and will be a holiday hit. Thank’s Deanna, for the amazing recipe. I think this one will become a tradition at our house. could i make this in a stock pot instead of a slow cooker? You could most definitely make this recipe in a stock pot, instead of a slow cooker. The recipe would still combine the same, but the cooking time would be a little different. If cooking it in a stock pot, it would take about 20 minutes to make. I would keep the cinnamon sticks in the entire time, and add the caramel at the beginning, to ensure all the flavor is cooked in. I would also recommend cooking it over medium high heat. 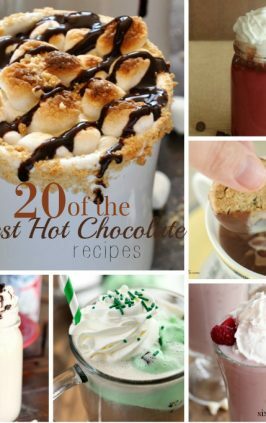 need a holiday treat to serve with it? There isn’t nothing I love more than a holiday drink, treat, and movie. I love all the Christmas movies, and this just tops it off. 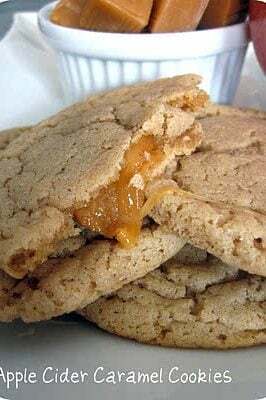 –Molasses Cookies: I love dipping these soft and delicious cookies, into my cider. –Pumpkin Chocolate Chip Bread: This may be a winning combination. The pumpkin with the cider, speechless. –Christmas Trail Mix: All the holiday colors, combined with a sweet and salty taste, pair perfectly with this cider. –Gooey Almond and Coconut Chex Mix: This is the ultimate holiday snack food. if you have never tried this, you have to. It is so yummy. Did you know we have a Youtube Channel? We have hundreds of tried and true recipes, your family is going to love. We take you step by step, through each recipe, and show you exactly how to make it. We love our holiday drinks. Every year, it is tradition for us to make our grandma’s spiced cider recipe, and it smells up the whole house. I love it. I don’t even need a candle. It’s a holiday favorite around here, and we want to share with you, how easy it is to make, so your holiday’s can be merry and bright. And full of delicious smelling cider. You can thank me later. This is the perfect cider to cozy up with on a cold day! 1 hour before serving, remove cinnamon sticks then add caramel and stir. 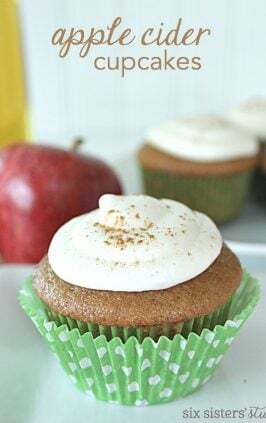 When serving top with a dollop of whipped cream and sprinkle cinnamon over the top.